Adrien Broner last week announced his “retirement” from boxing via a message on social media. Well, so much for that. According to Broner’s latest social media announcement, he has just signed a huge $50 million deal for five fights with The Money Team, Mayweather Promotions. Another question fight fans may ask, aside from whether or not the deal is in fact genuinely signed and sealed (Broner says and writes so much on social media, how do we know for sure he is telling the truth this time? ), is, has the former four-weight world champion got five fights left in him, at elite level? Assuming the deal is real, Mayweather will not want Broner to face soft touches or easy opponents. 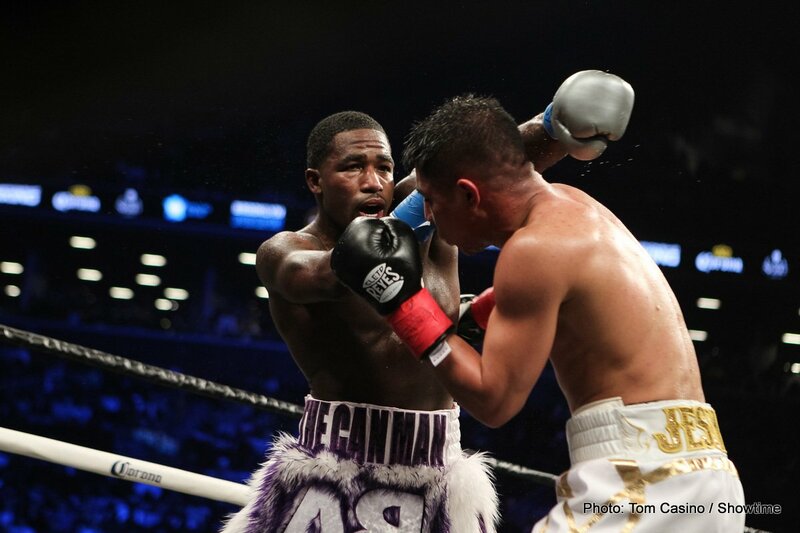 Again, can Broner – a fighter who notoriously blows hot and cold and who has in fact lost the biggest fights of his pro career, to Marcos Maidana, Shawn Porter and most recently Mikey Garcia – buckle down and work hard enough to put five straight wins in the bag? If the deal is real it could equal big excitement and just maybe Broner will at last show the world the greatness many people once believed he had in him. Recently Broner turned down an offer from British promoter Eddie Hearn, for far less cash than the alleged $50 million. Now we know why. It will be interesting to see who “Money” Mayweather matches Broner with in the first of the five fights and then in the remaining four.